Some basic planning and precautions can help keep you healthy and happy while traveling. Emergencies Dial 911 toll free, and no coin required at a pay phone for emergency assistance. The Red Cross Rescue unit may be reached directly at 128 throughout the country (2221-5818 in San José). 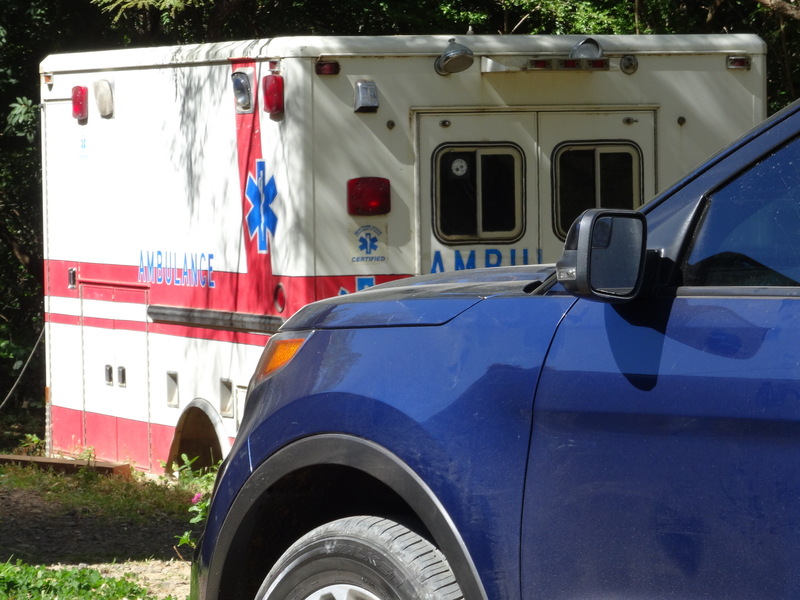 Tourism Care Medical Services has road and air paramedic and ambulance service throughout Costa Rica (2286-1818). Listings for private physicians are under Médicos in the yellow pages. For non emergency care your first line of defense should be your own first aid kit. Second, you can turn to the local farmacia (pharmacy). Note: overbuilding, lack of planning, illegal wells, and El Niño induced droughts in 2014-2016 lowered many aquifers (especially in Guanacaste and the Nicoya peninsula) to the point that water quality suffered. In 2018 the government initiated the “Paacume” reservoir plan to flood the Bebedero wetlands wildlife refuge and use a series of canals and pipelines to supply water for agriculture and residential use in Guanacaste and Nicoya. The plan is opposed by environmental groups both because of the destruction of habitat and because they say it will encourage further irresponsible development. 2019 is another El Niño year. Aquifer levels are dropping and arsenic and other contaminants are on the rise in the northwest. Bottled water may be advisable. In other areas municipal water supplies in most of Costa Rica are excellent. Especially in the mountains the water is probably higher quality than what comes out of the tap at home. One of the reasons so much land is protected in parks and reserves is that Ticos recognize the importance of their watersheds. Water quality standards monitored and enforced by the AYA are similar to those followed in North America and Europe. Water from rivers and streams is generally not safe to drink without purification. As nearly anywhere in the world, free running water contains parasites and bacterial pathogens (including giardia). When we trekked across the Talamanca mountains we found some streams several days from the nearest population that were safe to drink from but generally it’s a bad idea. Downstream from San José and in the waters around Puntarenas pollution and contamination can be severe enough to make swimming unsafe in the rivers. Only about 5% of Costa Rica’s sewage passes through a treatment plant and that only came on line in 2015. Most sewage goes into septic systems many of which are inadequate or prone to leaking into the groundwater during rainy season. A surprising amount of wastewater still simply gets dumped into the nearest river. 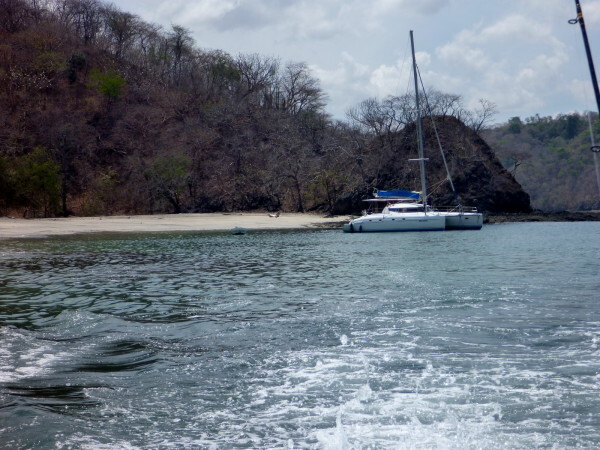 Generally the water quality of Costa Rica’s beaches is not monitored. The ministry of health occasionally shuts down beaches due to high coliform bacteria counts (basically sewage in the water) even in supposedly pristine areas like Manuel Antonio National Park. Red tides (phytoplankton and dinoflagellate algal blooms) are naturally caused by storm stirred upwellings of nutrients but are becoming more frequent as the ocean temperature rises and more fertilizer is carried out to sea in runoff. The micro-organisms that turn the water red or rusty brown release brevetoxins which cause rash and skin irritation and should not be ingested. The most common health threat from red tide is the wind and surf lifting the toxins into the air in the form of an aerosol which causes respiratory distress and can be dangerous for people with asthma or other conditions. Shellfish concentrate another red tide poison (saxitoxin) in their tissues and eating them can cause fatal paralytic and neurotoxic shellfish poisoning in humans. Large numbers of dead fish may wash up on the beaches during red tides but they are typically not the victims of algal toxins. They die due to severe oxygen depletion. Red tides in Costa Rica are more common on the Pacific coast and may last from a few days to several weeks. Amebic Meningoencephalitis is extremely uncommon but Costa Rica’s hot spring resorts are nearly perfect habitat for the microorganism (Naegleria fowleri) that causes it. The CDC assumes that Naegleria is present in any warm fresh water and grows best up to 115°F (46°C) – precisely hot spring temperatures. The only mechanism of infection is when water containing the ameba enters the body through the nose. There is no cure. Once symptoms are seen it is 97% fatal. Washing your hands is one of the most effective ways of preventing disease transmission whether you are traveling or not. Common sense is your best defense against digestive ailments. Wash any fruits and vegetables (especially ones you don’t peel), don’t eat food from stands or restaurants unless it’s as hot or cold as it should be, and don’t change your diet dramatically overnight. A separate travel insurance policy might be a good idea. Your normal health insurance, Medicare or Medicaid will not be accepted and will not pay for any care you need. Costa Rica’s Social Security Institute offers medical and emergency dental coverage by the week. It is available by the week through Tico travel agents, ask for the Instituto Nacional de Seguros travelers insurance. Many multinational companies offer policies that cover trip cancellation, lost baggage, medical costs, and emergency evacuation. For what you get this insurance is relatively expensive so shop around, get details from the providers, and read the policy carefully before purchasing. Your ultimate medical resource must be your physician. We have provided some general information, and daily updates by qualified medical professionals are available on the CDC and WHO web sites. No inoculations are currently (November 2015) required for travelers from North America to Costa Rica. However, you may want to consider a gamma globulin injection to boost your general immunity and defenses against hepatitis. If you are from or have recently traveled to some regions of South America or Africa proof of inoculation against Yellow Fever may be required. It is not present in Costa Rica and they want to keep it that way. Use repellent and wear long sleeves and pants at dawn and dusk. There are a couple of mosquito borne diseases in the tropics world wide and in Costa Rica which are very unpleasant – chikungunya, zika, and dengue fever. Everyone should carry a basic first aid kit when traveling. Hikers, backpackers, campers, surfers and others who are likely to find themselves away from medical care should carry more extensive supplies. A minimum kit includes pain relievers/fever reducers (Acetaminophen, Ibuprofen, or Aspirin) Imodium, band aids, tweezers, neosporin, tape, eye drops, insect repellent, sun screen. The benefits of having each of these items convenient should be apparent.